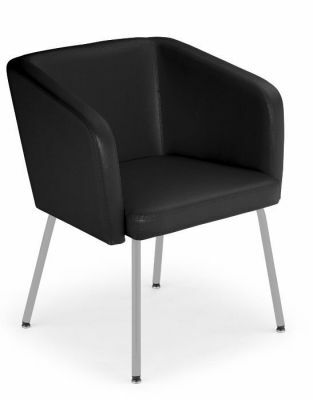 Corona tub chair with a durable four leg design and tub style seat in a choice of faux and genuine leather colours. Available direct from the factory with a four week lead time. Ultra sleek and modern design tub chair, suitable for use in a wide range of trendy commercial applications. As this is a made to order item there is a standard four week lead time.